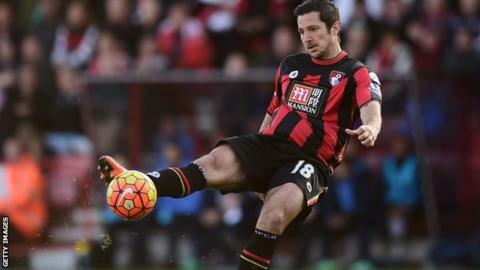 French striker Yann Kermorgant has joined Reading from Bournemouth for an undisclosed fee. The 34-year-old former Leicester and Charlton player signed an 18-month contract with the Championship side. Kermorgant spent two years with the Cherries and scored 15 goals last season to help them win promotion to the Premier League. "We have an experienced striker who will be able to work with our young players," said manager Brian McDermott.